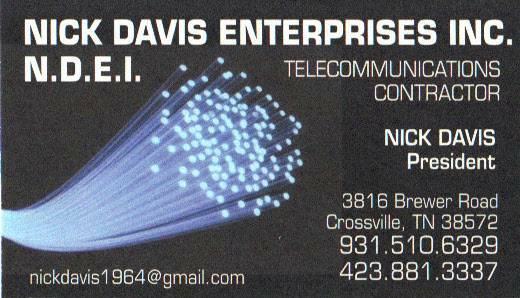 I am looking for experienced technicians to install Phone, Internet and Video services for commercial customers via a fiber optic network. Persons must be able to pull cat 5/6 and or coax and terminate. We are installing all forms of equipment for customers. You will need to lift 50 pounds and work from a ladder or bucket truck. We will be hanging aerial fiber and rodding conduit for service drops. Splicing fiber will be required but can be taught. I have W2 opportunities. There is a pre-employment drug screen and background check you must pass before the beginning of work. Please email me your resume to the info on my business card. You can also reach me at (423) 881-333 seven or (931) 510-six 329. Location: Lafayette Compensation: Pay is weekly and based on experience. Principals only. Recruiters, please don't contact this job poster.Please do not contact job poster about other services, products or commercial interests.